Imported by the French in 1699 New Orleans, Mardi Gras was dubbed “Fat Tuesday” because it was the last hurrah of binge-eating delicious food before forty days of fasting for Lent. 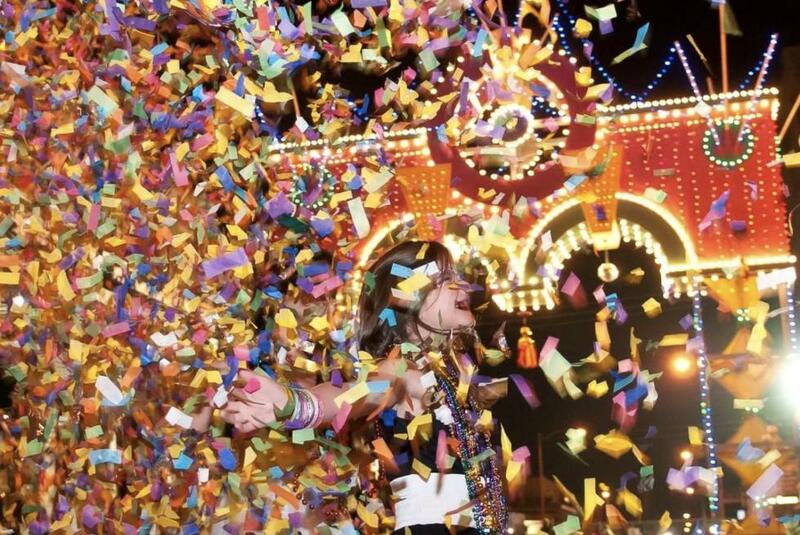 Now a raucous carnival that goes beyond food and into all stripes of indulgence, about 50 miles south of Houston is our own version of the infamous New Orleans Mardi Gras parade. Galveston happens to have the third largest Mardi Gras celebration in the country, and from February 22-March 5, Galveston is expected to host up to 400,000 people on the island’s 209.3 square miles. Galveston’s small size means traveling to and from events is a piece of king cake, so your available lodging options are more plentiful. Find an Airbnb near The Galveston Strand, or book a luxurious stay at Moody Gardens Hotel. Guestrooms feature a variety of panoramic views of the famous Moody Gardens Pyramids and Galveston Bay. 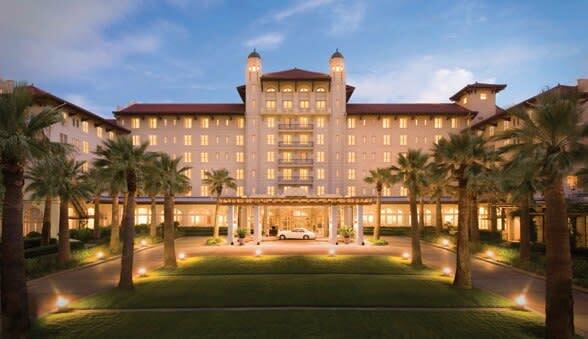 Along the Seawall, the historic Hotel Galvez offers beachfront views and a spa with a full-service salon. Also along the Seawall offering beachfront views is The San Luis Resort with its own award-winning steakhouse and bar. 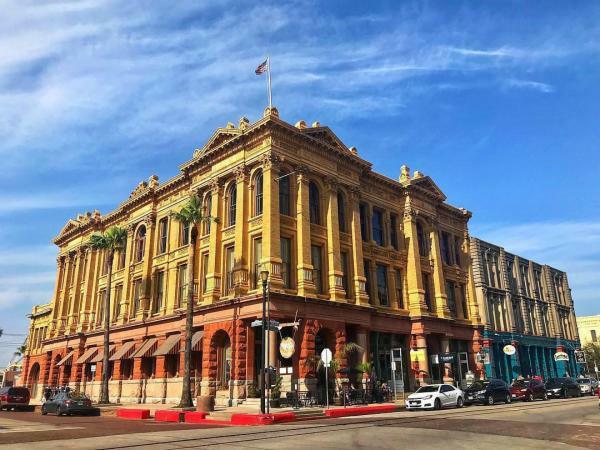 Galveston has survived countless storms, so its stunning historic architecture offers a sense of wonder. Tour Bishop’s Palace for an inside look at an estate no hurricane can destroy, its sweeping balconies and intricately carved wooden staircase showcasing Victorian extravagance. Also available for tours is the 1895 Moody Mansion, one of the finest examples of the gilded age with its parlor literally gilded from the wallpaper to the furniture. The 1894 Grand Opera House is worth a gander as The Official Opera House of Texas and one of the very few remaining of its kind in the state. 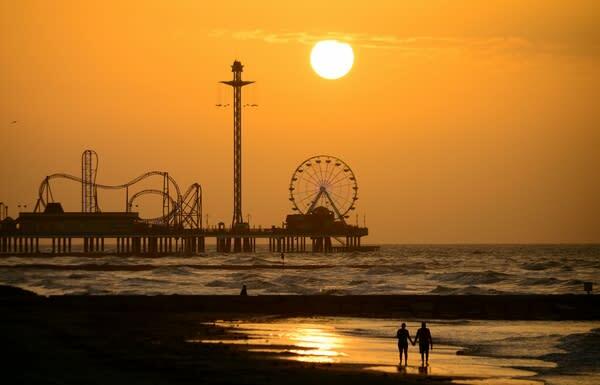 Keep the daytime fun going with a visit to Galveston Island Historic Pleasure Pier, a vintage boardwalk carnival come to life with funnel cake, games, rides, and a rollercoaster that dangles you over the ocean just enough to satisfy a serious adrenaline fix. Whether it’s a massive platter of fried shrimp or a more sophisticated grilled red snapper, the full island experience requires seafood. Meet your quota at Gaido’s, a Galveston landmark since 1911, or Landry’s, a Gulf Coast classic. An upscale take on Latin American cuisine with a Gulf Coast twist, Rudy & Paco offers to-die-for crab cake and Filete de Pargo Simpatico, a plantain-encrusted gulf red snapper. One of the many beautiful things about Galveston is that it’s so LGBTQ-friendly. A queer Galveston mainstay going 50 years strong, Robert’s Lafitte hosts drag shows and pageants with a close-knit ambiance that makes every guest a local. In The Strand District just steps away from the main parade route is Third Coast Bar, a gay nightlife favorite featuring drink specials, dancing, karaoke, and live entertainment. Serving the best brunch to follow up a rowdy night, the Mosquito Cafe’s cozy island vibe makes everyone feel like family, and their fresh-squeezed orange juice and eggs benedict is nectar from the hangover-cure gods.